The journey started in the year 1998 with the inception of Hadi Enterprises set up as a manufacturing unit for the batteries. Manufacturing batteries of all types and catering the need of all industries e.g. investors, automotives etc. In a short span of time the business had grown and sales had increased; supplying batteries to Lucknow in Uttar Pradesh. With a foresightedness of growth in the Real Estate market in Lucknow and nearby regions and with a futuristic approach Hadi Constructions in 2004 and then Index Infrastructures Pvt. 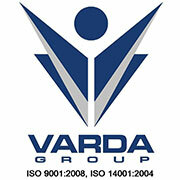 Ltd was formed in the year 2007 and since then had delivered successfully three projects; one project with the U.P. State Government building a VVIP Guest House and associated facilities on U.P. State Govt. Air Strip in Moradabad and two residential projects in the heart of city of Lucknow.